OK, before you turn your nose up, make a small batch and see. It is hard to believe something so simple can taste so good! Besides October is Breast Cancer Awareness month and this pickle is the color of choice. This recipe comes from David Lebovitz, who lives in Paris. I pretty much copied the recipe and fell in love with the results. 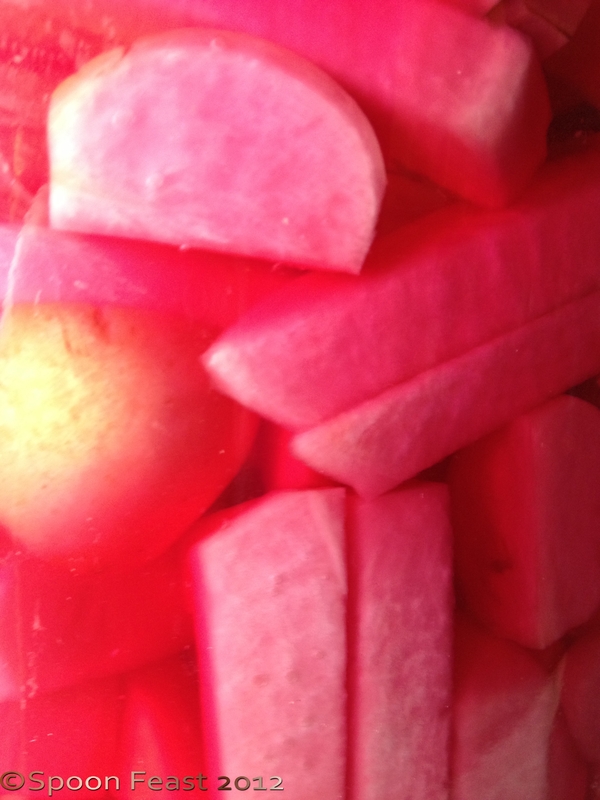 In the most recent batch, I added some red radishes to see how they turn out. 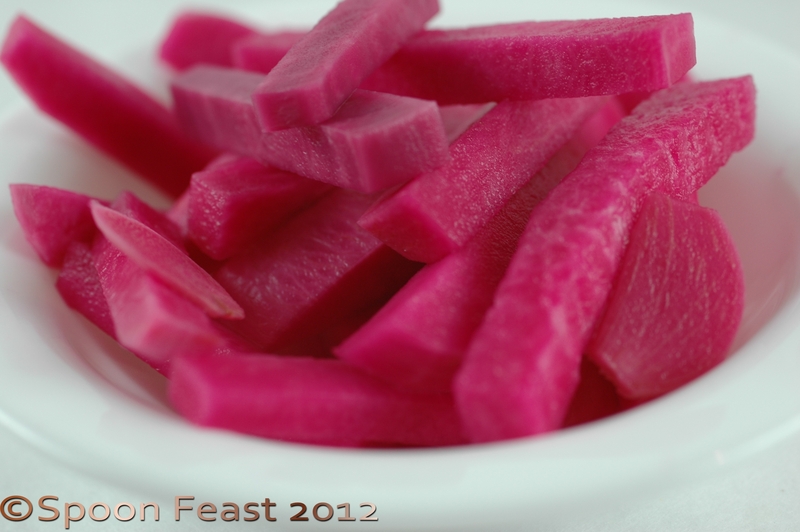 The turnips really are wonderful done this way as are the beets that give the pickle the lovely magenta hue. The beets and turnips and radishes all turn out to be quite equal in color. In my next batch I’m going to add some dill and instead of beets for color, I’ll use saffron or turmeric. At your next gathering, no matter how small, set out a dish of these lovely pickled turnips and see how strangely addicting they are. You will find yourself sneaking over to the dish for just one more. In a saucepan, heat about one-third of the water. Add the salt and bay leaf, stirring until the salt is dissolved. Remove from heat and let cool to room temperature. Once cool, add the vinegar and the rest of the water. I added the remaining salt and vinegar as soon as I was ready for it. The salted water cools quickly; adding the remaining water and vinegar definitely cools it quicker. Cut the turnips and the beet into batons, about the size of French fries. Use a mandolin and square off the ends for a nice appearance. Cut the garlic by hand, just do it carefully! Put the turnips, beets, and garlic slices into a large, clean jar. 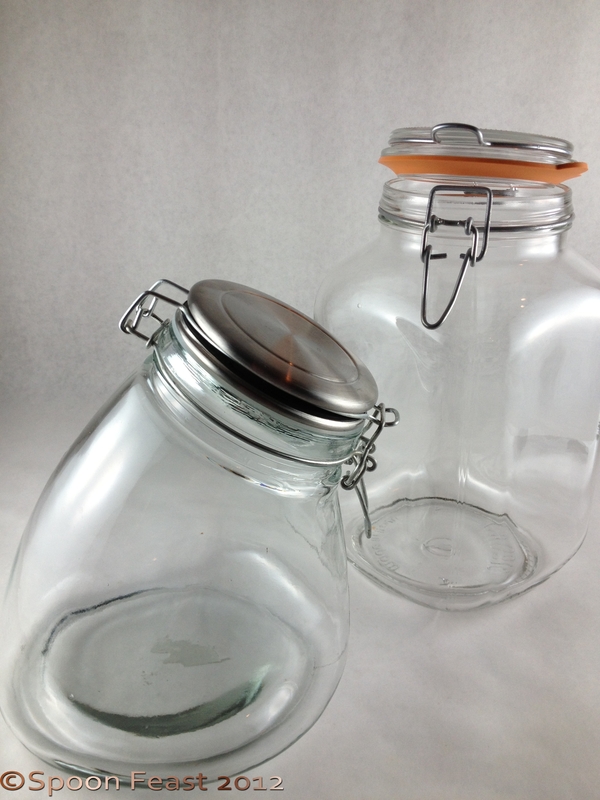 I like to use gallon or 2-gallon Ball or Mason jars with wire bales and rubber or silicone seals. After the process is complete, I transfer the pickles into smaller Ball or Mason jars for the refrigerator. Pour the salted brine over them in the jar, including the bay leaf. Make sure everything is below the surface of the liquid. Use a small dish or a water-filled plastic bag as a submersion weight. Place a small bowl inside to hold contents below the surface. Look carefully as this bowl is clear like the jar. Cover and let sit at room temperature, in a relatively cool place, for one week. Once done, they can be refrigerated until ready to serve. Storage: The pickles will keep for several weeks in the refrigerator. They’ll be rather strong at first, but will mellow after a few days. They should be enjoyed within six weeks after they are made, as they tend to get less-interesting if they sit too long. So there you have an amazing and unusual recipe for the age-old question: What can I do to turnips so someone will like them? Watch everything change color while curing. The batons are turnips, the wedges are radishes. Now you have your answer! 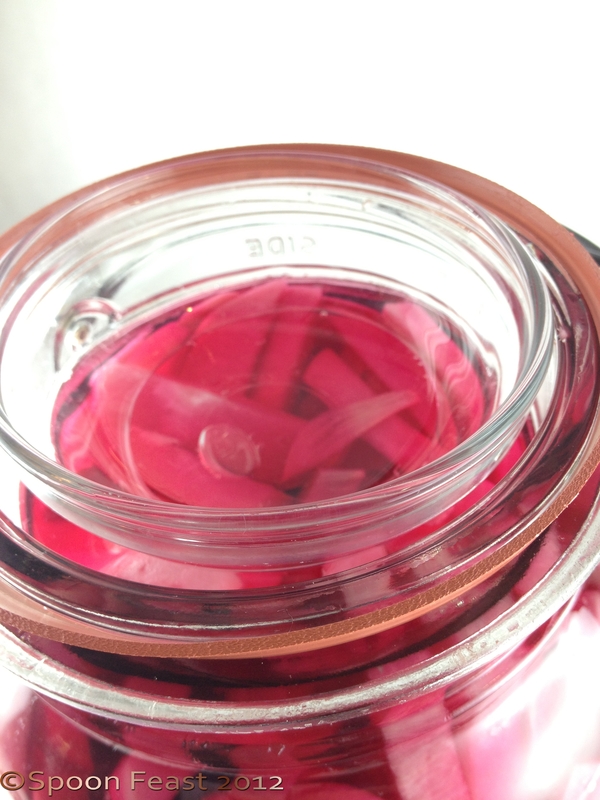 This entry was posted in Cooking, Recipes and tagged Beet, David Lebovitz, Mason jar, Pickling, salt, Turnip, Vinegar. Bookmark the permalink. The color is amazing! One of the reasons I like beets so much. Even my phone is magenta. Wow that first picture just pops! So beautiful! Thanks! I love the color. hey Stranger, I bookmarked this one. can’t wait to try this. I am one person who you don’t have to convince to eat turnips, just love them! Barbara! These really are quite lovely. Currently my pickle of choice. They are great! i am a pickle freak too, just love them! Not sure if or what radish is involved? Try any kind you want. Turnips pickle great as long as they aren’t too dry, red radishes pickle good but you have to eat them sooner than later. Daikon makes a great pickle too! Let me know how yours turn out!